Experts Inside South Africa invites you to an an exclusive event to showcase and discuss some of the latest offerings from Microsoft in the Office 365 and Hybrid ecosystems. We’ll be looking at some of the newest and most exciting Office 365 product, Teams, as well as practical guidance to better managing and levering experiences in Delve, Search, the Office Graph and more. These sessions will be presented by two of Expert Inside’s principle consultants and MVPs, Hilton Giesenow (South Africa) and Nicki Borell (Germany). We look forward to seeing you there! include data security and privacy aspects and concerns. altogether? In this session we’ll see how Teams works and address and discuss these and other topics. aspects these and other aspects like like self service site creation, site templates and governance automation. UPDATE: Sinc Jun 2017 this methode will not longer work! A lot of scenarios with customers focusing on an option to not have Delve active per default for each user. In this scenario, an opt-in behavior for the end-users is the expected experience. To enable the access to Delve only for some users we can use the property “OfficeGraphEnabled” in the UserProfile Service of SharePoint Online. Default this property is not set which result in Delve is visible for every user. To avoid the users to opt-in Delve we can set the property “OfficeGraphEnabled” in the UserProfile Service of SharePoint Online to “cannot be edit by user”. Doings this the user cannot opt-in Delve on his own to see “Suggested People” or content cards etc. Only a Admin can opt-in Delve for the users. 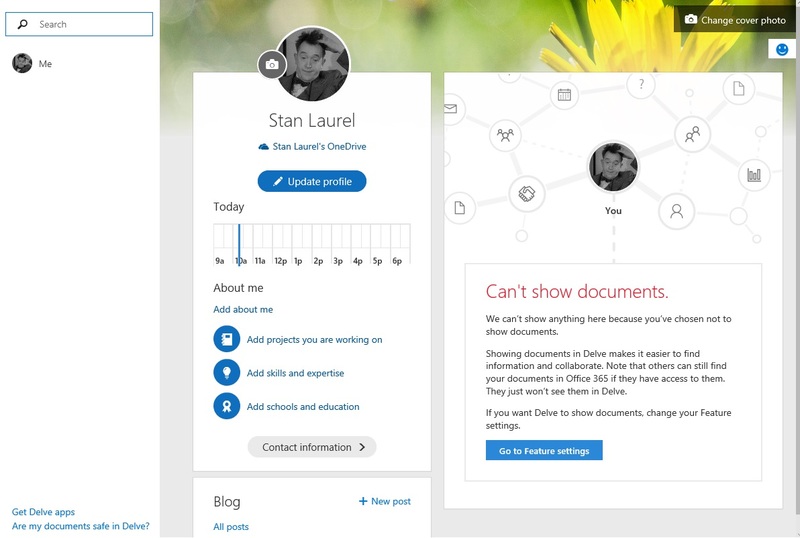 NOTE that Delve and the Office Graph is based on user interaction with content and other people in the Office 365. So if only some users use it the results can be disappointing. Microsoft SharePoint team plans to transform intranets into a mobile and intelligence powered experience. That means to combines the productivity of SharePoint team sites, the broadcast reach of publishing sites and portals, and the seamless integration of business apps. The goal is to find and access content from everywhere and on any device. o Containing News from TeamSites, Blogs, etc. • A Group is also created for the TeamSite to store conversations, using Planer etc.